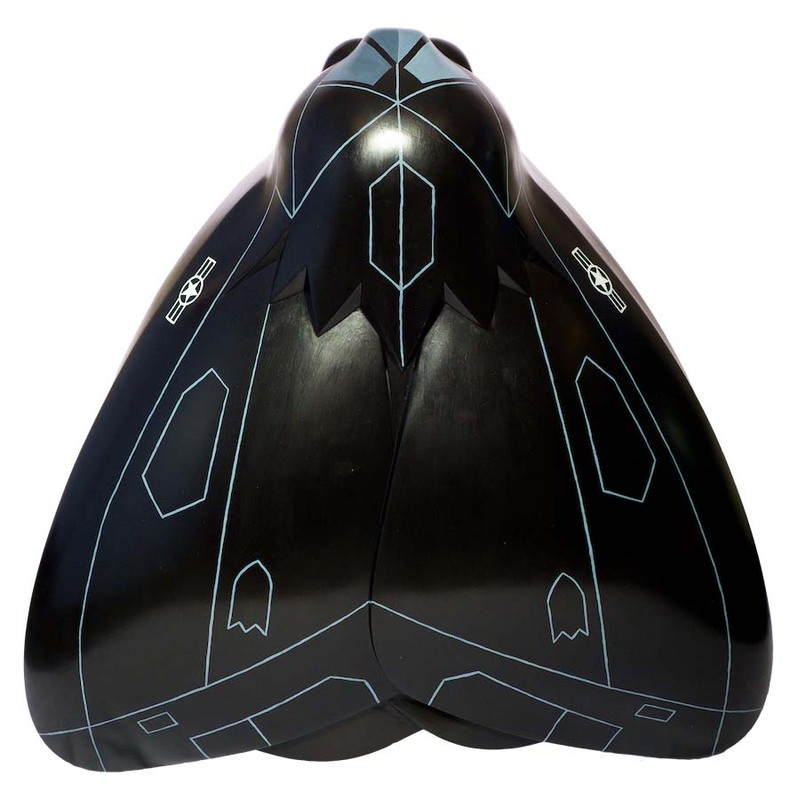 This moth is based on stealth aircraft, designed to avoid detection using a variety of ‘stealth’ technologies. These technologies reduce reflection/emission of radar, infrared, visible light, radio-frequency spectrum and audio, collectively known as stealth technology. Whilst no aircraft is totally invisible to radar, stealth aircraft make it more difficult for conventional radar to detect or track the aircraft effectively. The moth has been designed to blend into its surroundings, allowing only electro luminescent light to highlight the moth’s shape. Liz Dees is an established and innovative artist who enjoys collaborating on performance projects as well as murals and outdoor arts. Trained at the Chelsea College of Art and the London College of Fashion, she has worked on shows ranging from West End musicals to community operas. She now specialises in large-scale street theatre, and has recently branched out into public art and performance installation. The University of Hull has earned a reputation as one of Britain’s finest teaching universities, a source of landmark research and a proving ground for fresh new talent. The University is, and always has been, a keen supporter of creativity, arts and culture, and is proud to join forces with the Amy Johnson festival in celebrating one of city’s most prominent pioneers.